Show us your Stash……. Anne! In our ongoing investigation into the sewist’s tendency to hoard fabrics, patterns and shiny, pretty things, I can now reveal what goes on in Anne‘s fabric room – yes, you read that right, she has a room!!! 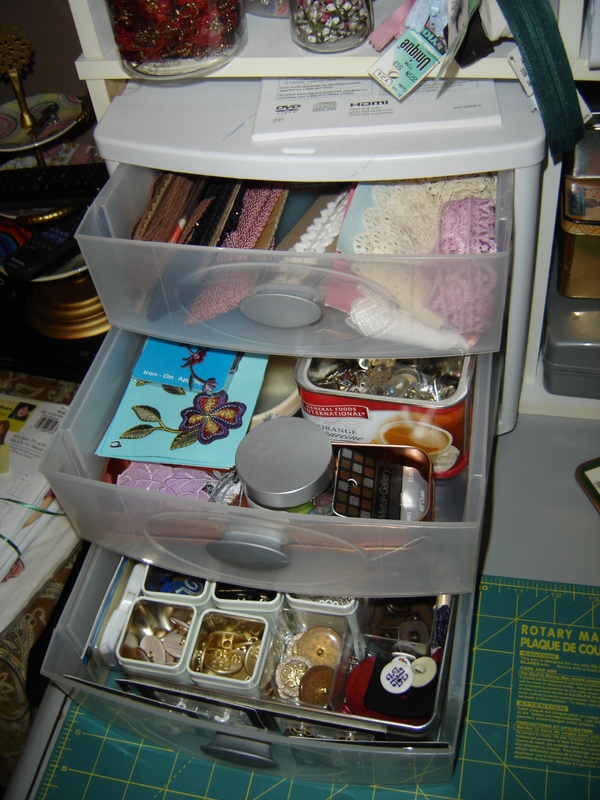 How long have you been sewing & stashing? How big is the stash? Where do you keep your stash? How do you store it, etc. I hang all dress fabrics after pre-washing on hangers in almost no order (although current season in the front) in the closet already mentioned with reverence, fat quarters are all in tubs under the love seat (thought of as beds by some less-respectful 4 leggers) and upholstery and quilty stuff is in a series of giant totes stored in dangerous teetery stacks in said closet. One day a cat will pull the wrong thing jenga style and the entire side of the house will collapse in a black hole style vacuum of fabric doom. But I’m sure it’s fine. You aren’t a fire marshall, right? What is the oldest piece in your stash? What was your original plan for this piece, and why hasn’t it happened?My friend Deanna gave me a ton of fabulous sheer fripperies and I have used them almost- almost. 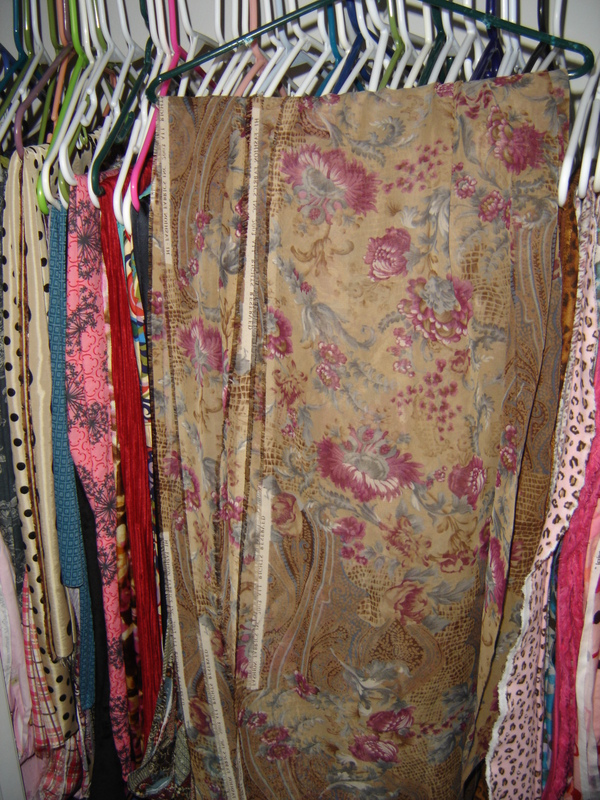 This brown sheer floral print is my fave and it must be used just right- so it’s been supervising the closet for at least 8 years. What’s you favourite piece in the stash? Where did you get it, what do you love about it, what do you think you might do with it? Honestly, I am shallow- they are all my favourite pieces, because I think of this as textile fostering and wouldn’t want any of my charges to feel like I didn’t love them and nurture them equally. This helps me with the guilt when I swap. I’ve sending them to permanent homes where they will be loved and each given an invisible zipper and a pony. Does the fabric you buy go straight into hiding, or do you wash it first? I’m rewash gal. It goes right into the laundry room. I think the husband thinks that sometimes I only do his laundry if I haven’t bought enough to fill an entire load. How do you add to your stash? Do you buy with a purpose in mind, or is it fabric lust? Ok, sometimes I have an idea, a grail project, sometimes…ok, most of the time, it’s just lust. What if it goes to the wrong home? What if they don’t love it as I do? What if they use it to make shortalls or something? I just can’t have that!!! Do you have something in your stash that you cannot bear to cut into? Why? 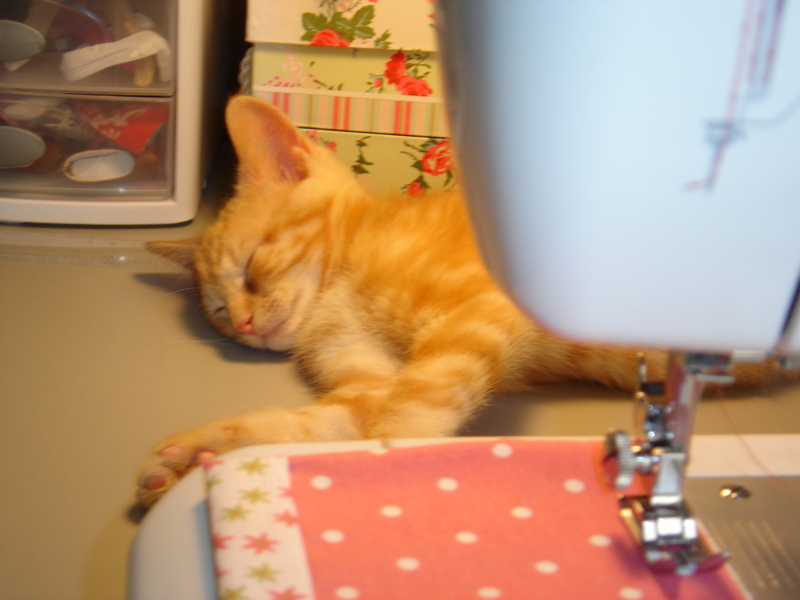 The first time I saw the generosity of the sewing planet in action was over a year ago. 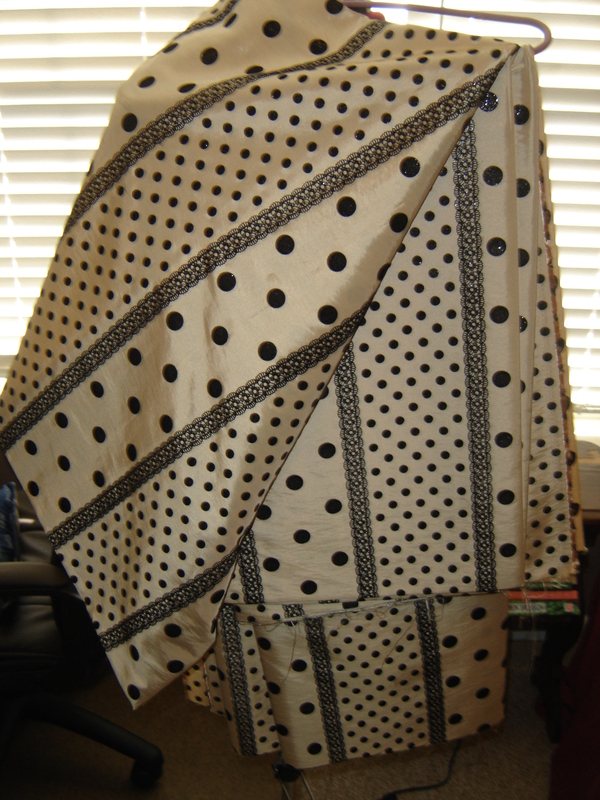 I coo’d at a piece of fabric and that gorgeous blogger sent it to me! 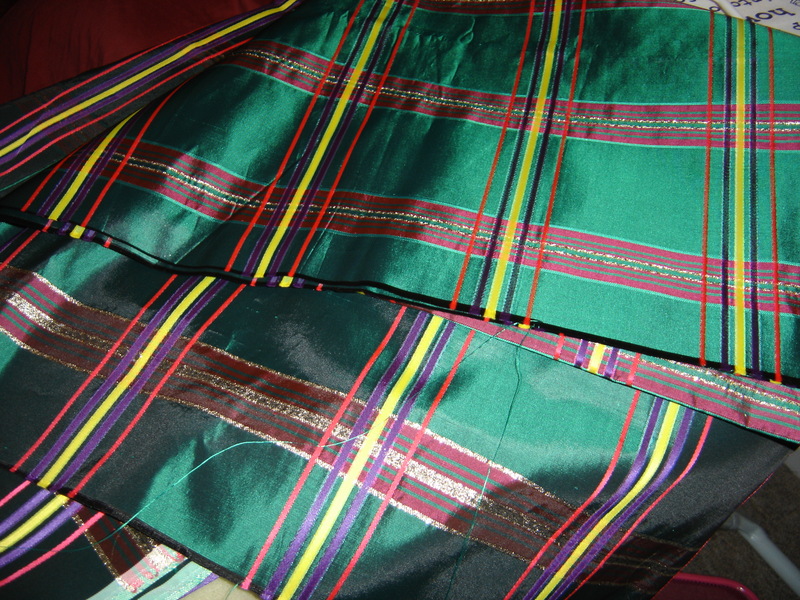 It’s the most distinctive and lovely plaid fabric and it screams Vivienne Westwood. It must be the perfect pattern and I would curl up and die if I didn’t do it justice in form and finish. ElleC– I haven’t forgotten my treasure- you sweetie! 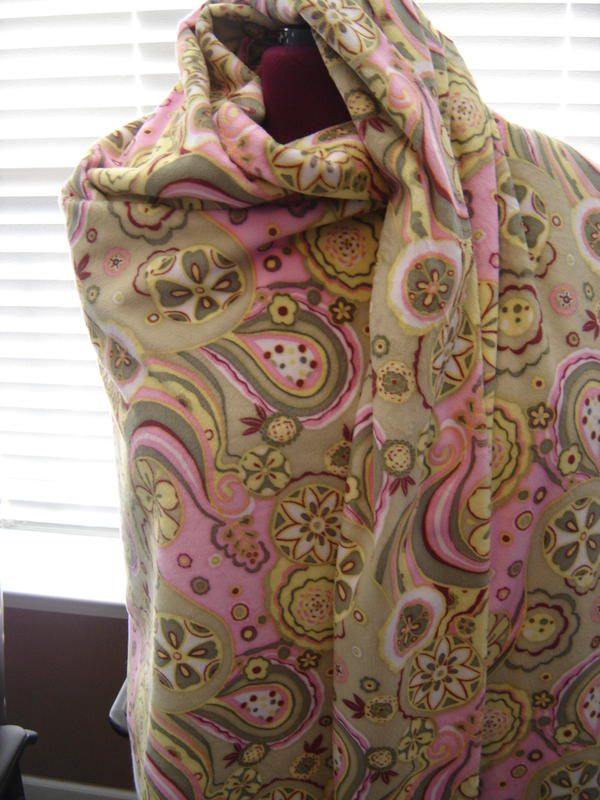 Do you just stash fabric, or does the problem include patterns and notions? I think I am part crow on my Father’s side. No, not the tribe- the birds that like shiny, tacky objects. 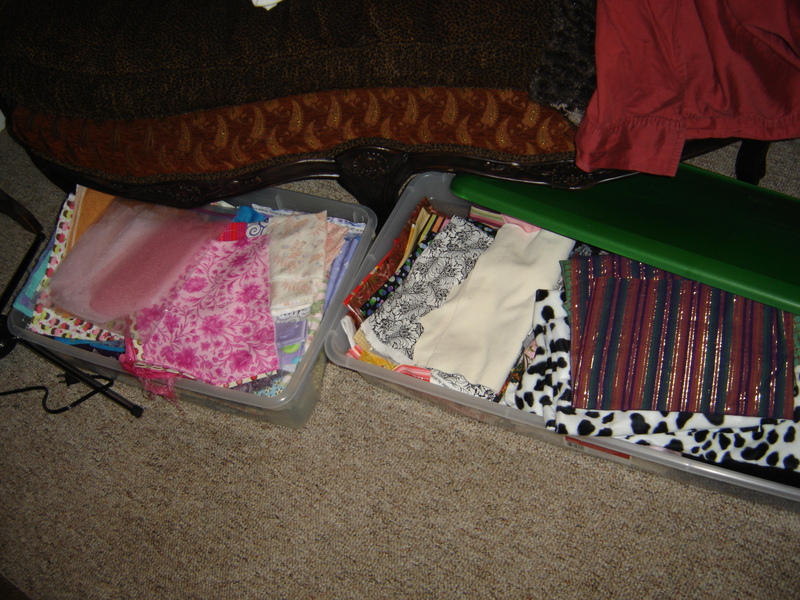 I have an obscene amount of potential use items- covered button kits, bias tape, buttons, ribbon roses, rulers and lets not even talk about patterns. That part of the fire hazard is pretty scary! Have you decided to do a “Stash-busting” resolution this year? If so, what have you decided to do? Um, well, I mentioned it briefly to the husband and he took great umbrage with the whole idea. His shopping for his hobby out-costs mine, so his guilt is assuaged every time fabricmart comes a creeping up to the door. You don’t want him to feel bad, do you? I mean really, have a heart! Also, I must say that now that I have seen a particular young ladies walls of catalogued pretties, I feel like I’m still in the minor leagues, so I think I’ll do a little shopping when we are done here! Wow, I think I need a wardrobe for my fabrics too now that I’ve seen yours all hung up like that! I wonder if husband will swap his cupboard space for a few plastic boxes.. Thank you, Anne for letting us into your sewing space! A reminder that you can see the list of participants here, and check out the offerings on the Pinterest board. If you’d like to take part in our great swap, have a quick look at the guidelines and then join the fun. I wish my stash looked as organised as Annes! I’m afraid I fall into the ‘I know I have the perfect …(fill the gap)…. now where did I put it? One day I will get it organised. Maybe. haha, I know what you mean! Actually, I frequently think I have the perfect something, only to realise I either made it up the year before, or gave it away to a “more deserving home”. Oops! Oh I love the closet and there are pieces I’d steal straight out of it! That geometric pink with the flower heads? I covet! I love that the Daschies have no respect for the stash; they are obviously royalty and expect to be grated as such! I’m with you on the fabric choice Vicki! First one that grabbed my eye! 😀 Pets have no respect for our hobbies, that’s for sure. I too have a sewing room 🙂 lucky me. Although we now have no room for guests (lucky me! LOL). OMG I almost had to lie down when I saw those polka dots and lace fabric! Squee. 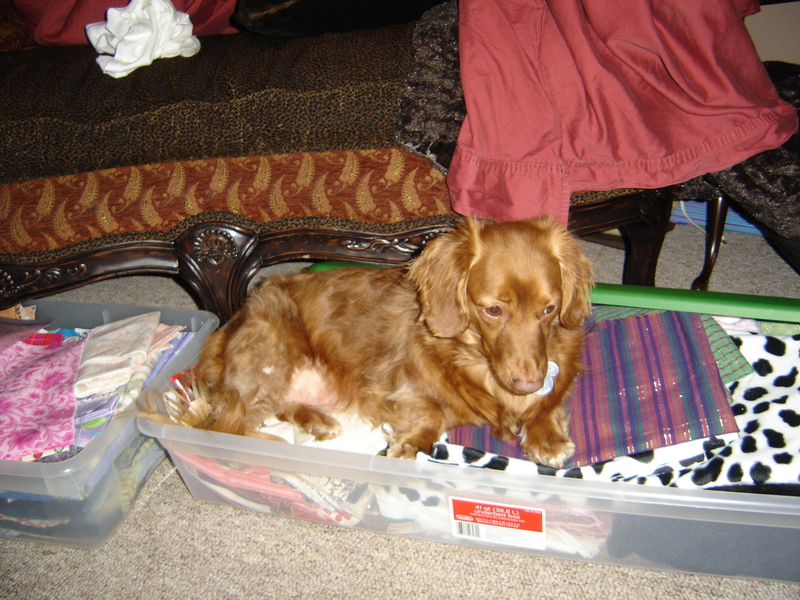 I’m loving these fabric stash posts: it always makes me feel better about my hoard of fabric 🙂 I only wish that my fabric stash came complete with random snoozing pets hiding away! Oh gees, that pattern area looks psycho- how appropriate to have the Hitchcock DVD right on top?! I want a stash room. There I said it and its Anne’s fault! 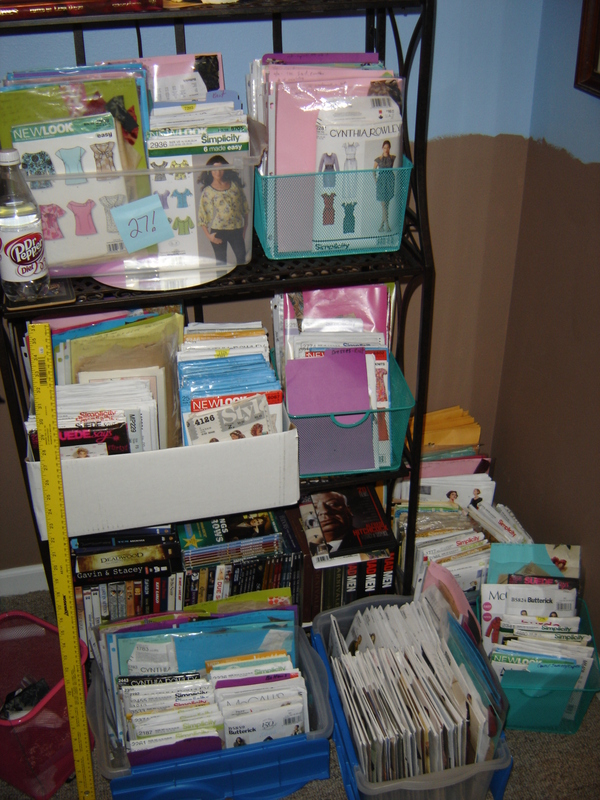 Previous Previous post: Show us Your Stash….. Kat!